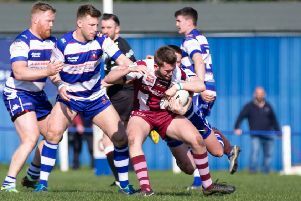 Dewsbury — who overcame West Hull last Sunday — travel to the only remaining amateur side left in the competition when they visit Thatto Heath Crusaders. The St Helens outfit will have another giantkilling opportunity having reached the last 24 of the competition after shocking League One side North Wales Crusaders 16-14 in the fourth round last weekend. 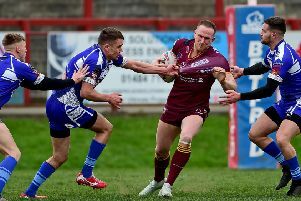 Batley will visit League One side Doncaster, who overcame amateurs Featherstone Lions 46-6 to progress. The draw was conducted by Challenge Cup legend Martin Offiah and Linzi Prescott, whose son Taylor will deliver the match-ball for this year’s Coral Challenge Cup final on August 24 after a gruelling overland journey from Perpignan – just as his father Steve did before the 2009 final 10 years ago. London Broncos, will travel to Championship side Halifax. There two all-Championship ties between Bradford Bulls and Featherstone Rovers, and Widnes Vikings at home to York City Knights. The eight winners will be joined by the top eight from last season’s Super League, including holders Catalans Dragons, in the sixth round draw on Monday April 15.